Tour de France, Stage 21 – Aussie Aussie Aussie, Oi Oi Oi! 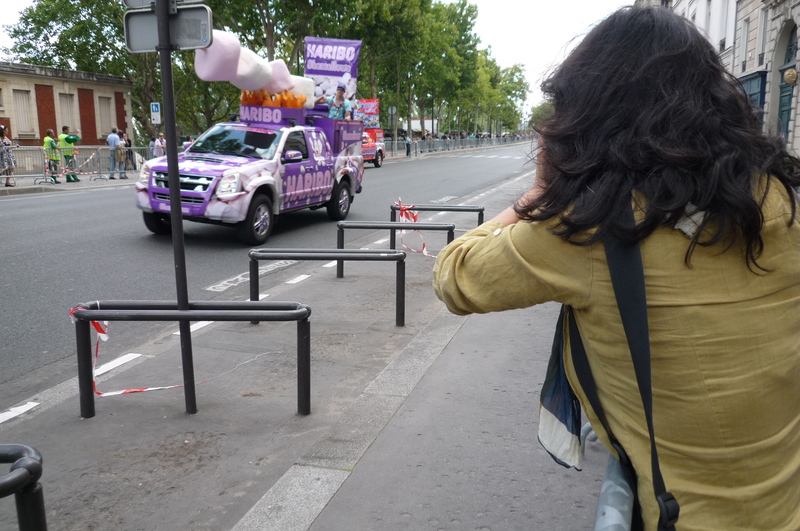 The Tour de France ended in Paris yesterday, and thanks to Karsten, Sarah and the TGV, I was there to see it! After being graciously met at Gare de Lyon by the two of them, Karsten and I hustled over to Place de la Concorde to get some photos for the blog. 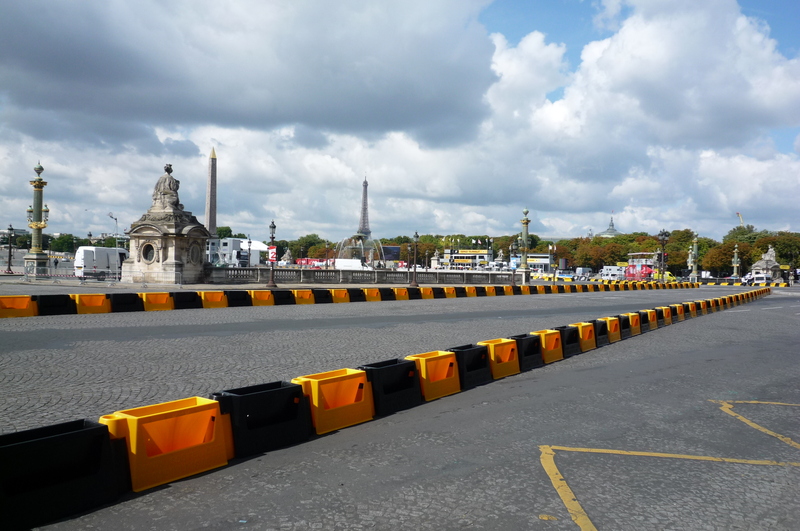 It was around 6 hours before the peleton would arrive, but the truly committed were already staking out their places on the barricades. 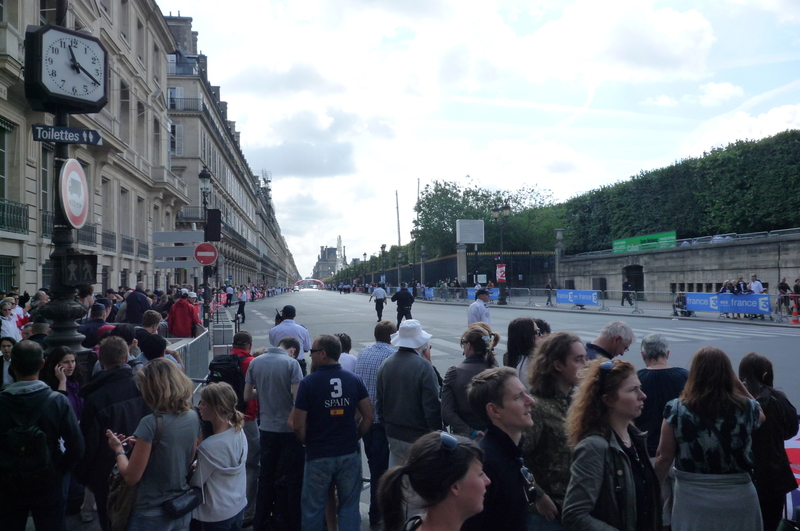 It’s not as insane as it seems, actually, since this spot (and lots others) would allow these fans to see the riders at least 8 times (or possibly 9…clear it up for me, if you know the answer). 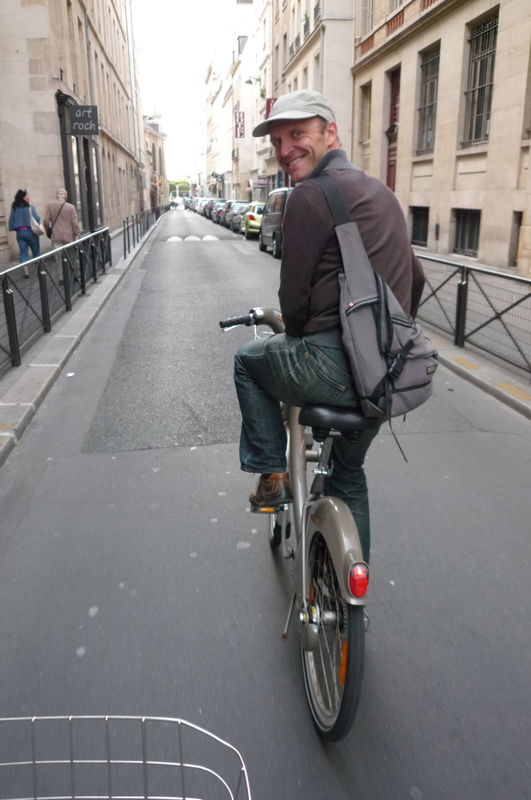 You see, the last stage of the Tour, apart from being nearly completely ceremonial, involves 8 loops around central Paris, on a route designed to highlight the most famous of the famous sights in the city. 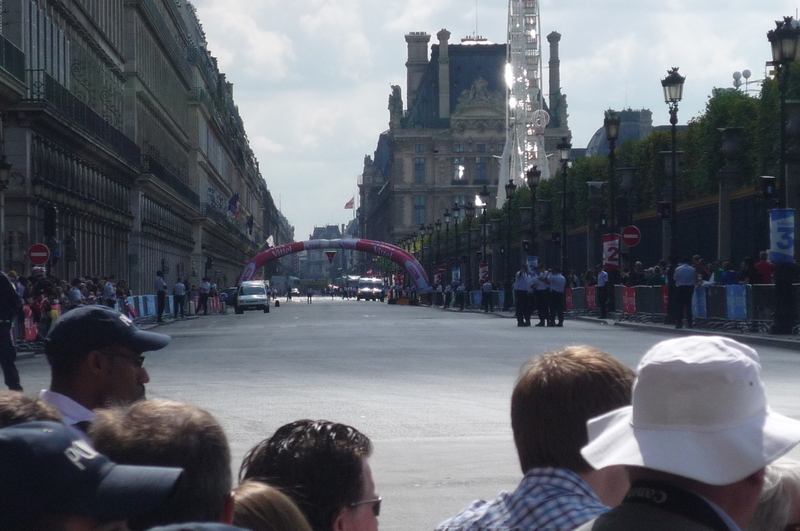 The race ends on the Champs Elysées, not too far from where we are standing above. This is the ‘flame rouge’, the air-filled gate that signifies one kilometer to go till the end of the race. To the right is the Louvre, a little museum you may have heard of. Looking the other way, towards the finish line. …and getting another view down the road. 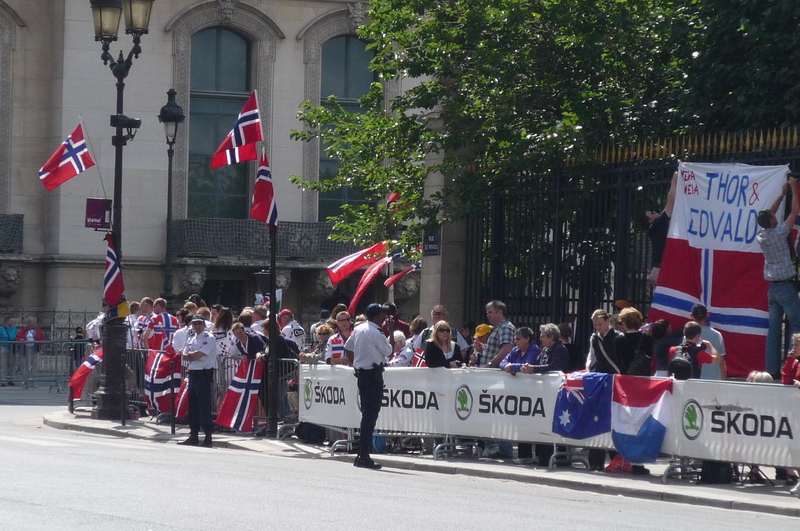 Here is the ‘Norwegian Corner’, apparently populated by them every year. There must be a story behind this. Tell me if you know it. 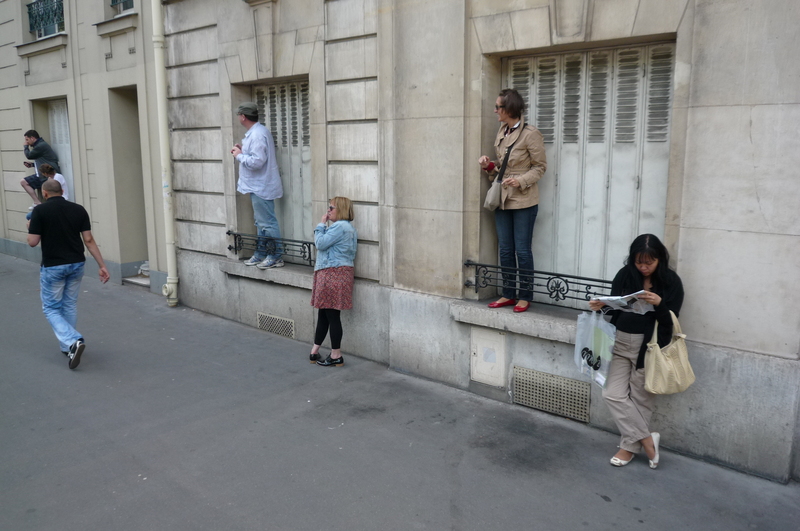 K and S live right on the route coming into the city this year (I’ve had a bit of luck with well-situated friends this Tour), so we could just wait in their apartment till we heard the ruckus of the caravan, then scoot down and watch it come by. That’s Sarah taking photos, hopefully on sports mode…they were really roaring by us. I suppose it was because they don’t throw stuff when there are barricades, or possibly, after 3 weeks of fake smiles and happy waves, everyone was just in a hurry to get it all over with. Anyway, it meant no saucisson for me on this day. When the excitement was done, we went back upstairs, cracked open a beer, and watched the champagne slurping and back slapping that is an integral part of the last day of the Tour. The riders were, however, sobered up and a little more serious once then came by the apartment. 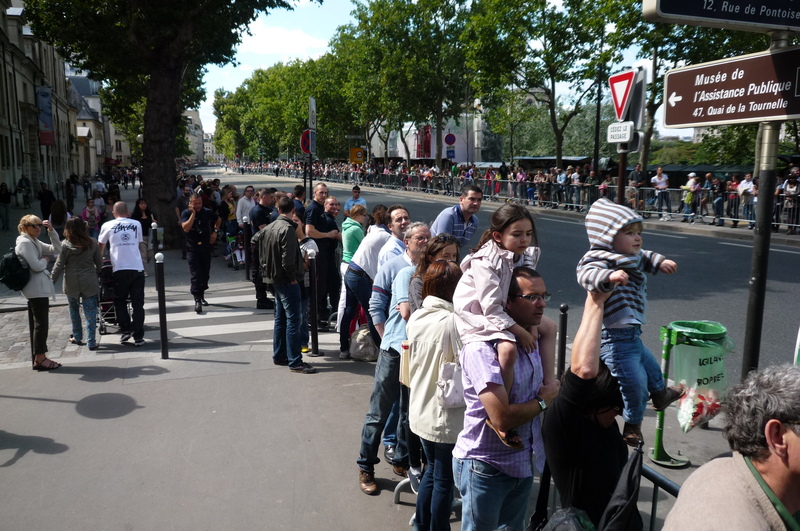 Just before they arrived, we ran down to the barricades with our stools (excellent idea Sarah!) and got instantly good views. Others had similar ideas, but less effective results, I’m guessing. 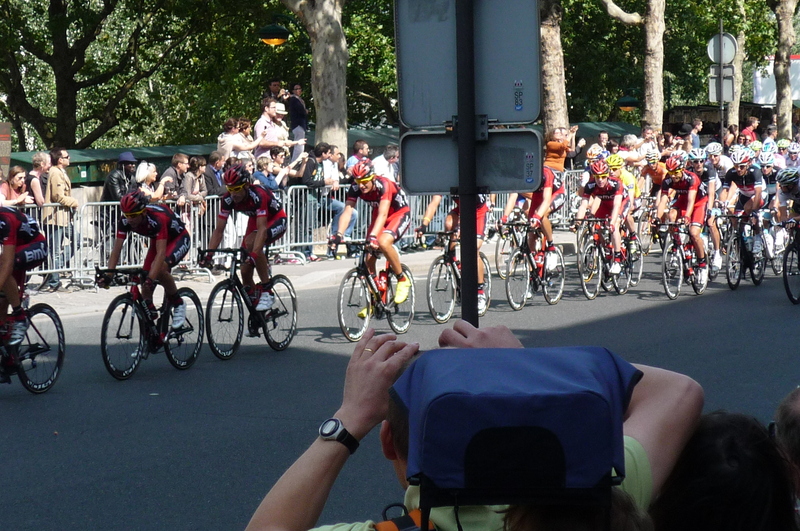 Here is BMC leading the peloton into the city. 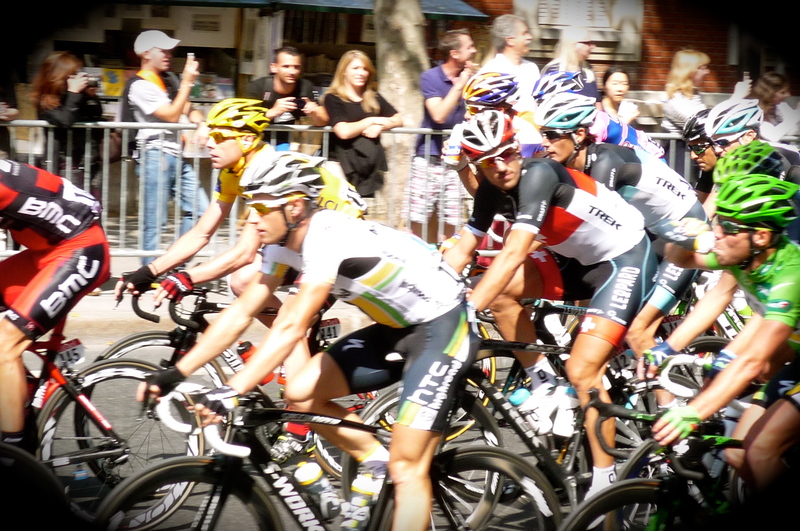 And a lucky shot of Tour winner Cadel Evans (in yellow, if you’ve been living on Mars for the past couple of days), Swiss Champ Fabian Cancellara, always-the-bridesmaid Andy Schleck, and Green Jersey winner Mark Cavendish. And that was that. 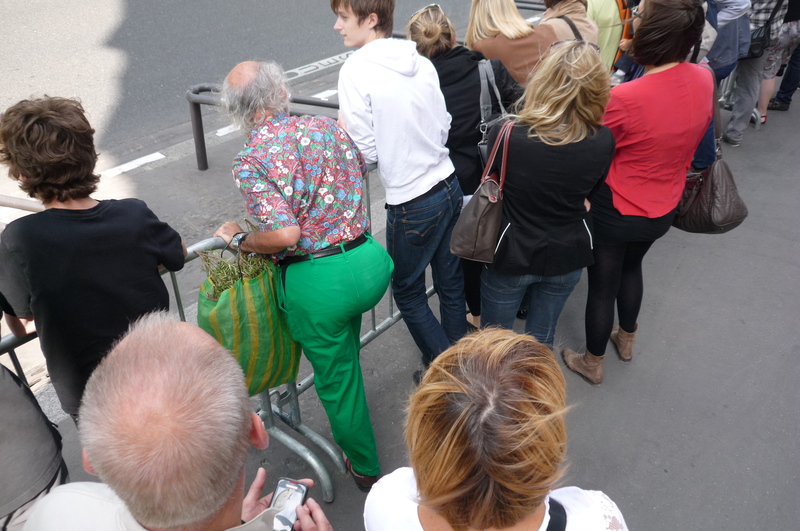 We went back once again to the apartment and watched the rest of the Tour on France 2, Cavendish unsurprisingly winning the sprint once again, and Cadel Evans finally getting his just desserts and winning la plus belle course in the world. This year’s Tour was one of the most satisfying and exciting I’ve seen, and made even better by friends, new and old. If the peloton ever comes by my place, you are all invited. A l’année prochaine! How do you make blueberry jam with raspberries…that’s my question? Right, it was priceless – literally. Pro road cycling is just about they sport on the planet (OK, running and tris, too) that you can watch for free. Thanks Gerry for all the great blog posts over the past three weeks as you gave us your up-close-and-personal perspective of the toughest sporting event on the planet. Even more entertaining and inspiring was your personal experience(s) as you trained for, and raced Etape du Tour on the very roads we saw the drama unfold on Stage 19 of this year’s Tour. I’m already suffering Tour de France withdrawal as I’ve become accustom to the daily excitement unfolding over the past month. Thanks again. Viva la Tour de France! Withdrawal – me too. Looks like I’ve got no good excuses to stay off the bike every afternoon now. Thanks for the comments on the blog this year. I’ll tell you what, if you lack motivation to get something done, start a blog about doing it – you just have to see it through or you’ll disappoint your readers! Withdrawl from watching the Tour, for sure. Riding motivation isn’t a problem given I will be riding Stage 18,19 and Ventoux in less than two weeks. Thanks again for the great blogging. I don’t know the intricacies of darts very well, mainly because I’m always drunk when playing. Maybe I should learn, so I can fill the void. I’ve been to the last 3 tours and have been gutted by Cadels losses. He is one of the most honest hardworking men out there, plus he’s from my home state. I took Kate this time for the first time and she is his good luck charm! Good blogging once again. He’s been on my radar for a few years now. Always loved his work ethic (not the mention that crazy way his climbs in the drops!). Love to see years of hard work rewarded. Bring Kate again next year, mate! Thanks for your entertaining posts, Gerry. It’s great to get the perspective of someone who is seeing it up close! The Haute Route! I’d love to hear how that goes, so get your man to start a blog. I’ve been drooling over the idea myself, but I’ve already spent enough on cycling this year, at least according to ‘my woman’. I’ll check out the blog post soon.